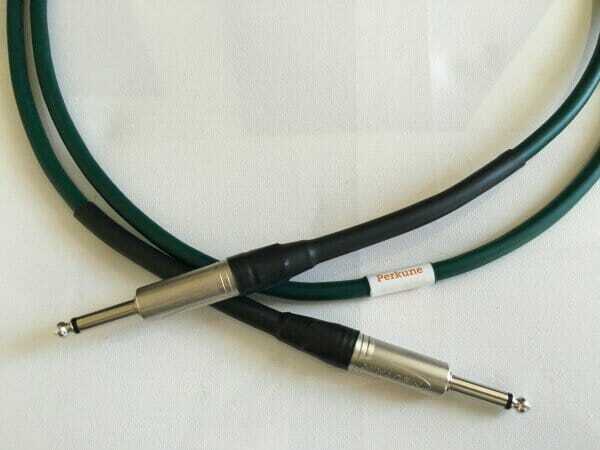 Audiophile quality three-meter Guitar cable. This enables you to bring the sound from your guitar to a completely new level. This is because the Guitar cables bring out far more detail than a standard guitar cord and will bring clarity, life, and dimension to your music! Specification ~ Conductors: 2 x O.F.C (Red Copper). Insulation: Compact PE. Shield: Spiral covered O.F.C red Copper 88 strand. Sheath: PVC. Outer sheath: Plastic shrink-wrap. Cable Diameter: 6.0 mm. Signal conductor: 16 strand (23 AWG). Resistance of cable made up is less than 0.2 Ohm.